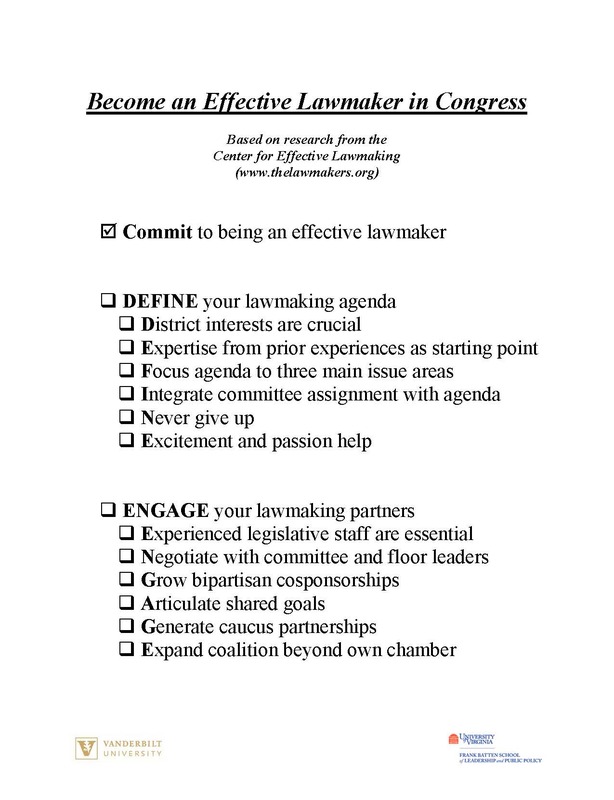 The CEL developed a guide to be delivered to all new members of Congress. This guide highlights the best advice on effective lawmaking found among all of the materials presented in previous new member orientation activities. We tested the implicit hypotheses in these guides to discern which pieces of advice are likely to have the greater impact if adopted by new lawmakers. 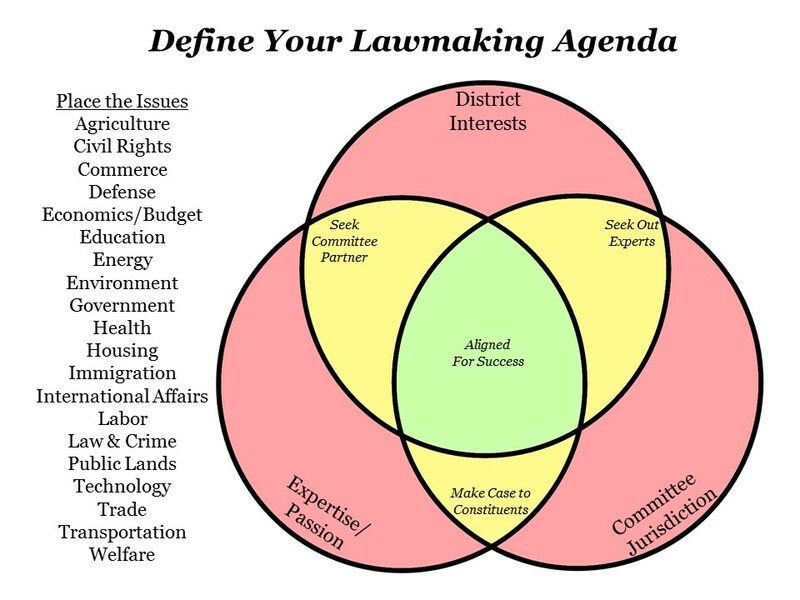 We distilled the new member guide into a one page checklist for new members and a venn diagram worksheet to help lawmakers define their legislative agenda and prioritize policy issues.